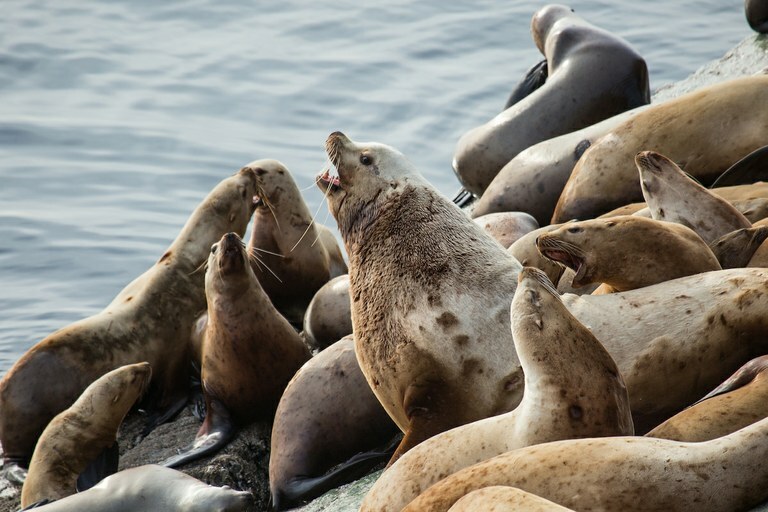 In the late 1970s, somewhere between 220,000 and 265,000 Steller sea lions swam, dove and fished in the western part of the Gulf of Alaska and the Bering Sea. But by the turn of the century, fewer than 50,000 remained. That suggests that the fishing regulations that followed the listing — largely meant to keep fishing vessels from competing with sea lions for the fish they’re both trying to catch, and to protect the animals from the disturbance of loud, exhaust-spewing boats when they’re busy rearing young pups — are not addressing every cause of the sea lion declines. “We think there are other factors at play that are much more difficult to mitigate with regulation,” Rea said, including harmful environmental contaminants like mercury.